Every PayStand account supports direct checkout with all major credit cards, eCheck, and eCash. Unfortunately credit card networks charge an interchange rate (2.49% + .30) to use their networks. However PayStand's unique technology allows you to choose how these credit card costs are absorbed. 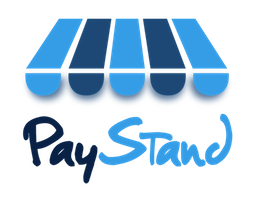 This Payment Processing Flexibility is found only at PayStand. We provide you with the options to pass on fees or to absorb them. We also give other 0% options with little to no interchange rate (eCheck 0% + $0.25 and eCash 0% + $0). With PayStand’s PPF, you’ll never have to pay processing fees again, and neither will your customers.